The crisis over Telemedia is far from over; in fact it will be long-drawn-out and is likely to create more instability and uncertainty in the telecoms sector at home; while abroad huge consequences for foreign investment are expected. On Monday night Prime Minister Dean Barrow took to the airwaves and gave a chilling address to the nation. In a complete reversal to his Friday night concession statement after the decision by the Court of Appeal, the PM changed his position and said that his government will now do whatever it takes to retain control of Telemedia even though the Court of Appeal has declared that the acquisition in 2009 was unconstitutional, null and void. But even prior to Friday, the Prime Minister had publicly stated that were he to lose in court, he did not intend to re-nationalize the company. That was then but here is what the PM is now saying to the nation…. So what’s the next move? Well, Cabinet met today and we can confirm that it decided that the government will go back to the House of Representatives as early as next week in a special session to once again nationalize Telemedia. The discussion was lengthy and from what we gather, government will be “fixing” it to once again compulsorily acquire the company. It is not known, however, what reason the government will advance to re-possess Telemedia since the Court of Appeal has already ruled that there is no legitimate purpose to so do in the public interest. But even as it prepares legislation, the Government will be proceeding with its appeal of Friday’s ruling to the Caribbean Court of Justice. This is to try to avoid any compensation to be paid during the period when it compulsorily acquired the company. The three Appeals justices found that the reasons provided for the nationalization did not justify government’s actions. At paragraph one hundred and fifty of the lead judgment Justice Morrison wrote: “For all of these reasons, I do not think that, on the evidence, the compulsory acquisitions were duly carried out for the stated public purpose, either on the bases advanced by the Minister in his 25th August Order, or on any of the other bases identified by the judge in his judgment.” We note that whilst the Prime Minister, in his address on Monday night said that the reason for the Court’s decision was because of “omissions” in the Law, a read of the Judgment shows that the Court also found that the nationalization was disproportionate and “plainly and prejudicially affected their protected constitutional rights”. So as we said, the road ahead will be long and bumpy because the owners of Telemedia are likely to strike back. this what my mother use to say, because of pride one cut one noze to spoil the face. This bully thinks he is the only one on the planet, and does not give a darn about public opinion at home nor abroad, so are the clowns around him. Who in their right mind will consider investing in Belize when the so-call government can take away an investor’s business over night. Nothing but a bunch of conspirators. Belizeans if you all will sit on your dumb @$$#$ and do nothing, that’s you all problem. Continue to take the licking from your dictators. Dean Barrow the riot act. It’s sad what we have come to. It underscores what has been happening for a while. The ordinary citizen gets man-handled by the UDP and has no avenue to obtain justice. They are setting a dangerous precedent here. This kind of behavior will sow the seeds of violence as people cannot obtain justice from the system for wrongs imparted on them. 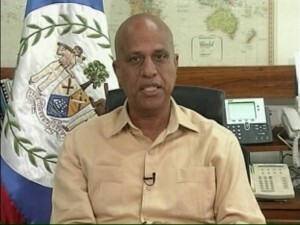 This man is very but very dangerous for the people and country of Belize. His ego knows no bound. Can he not see that by trampling upon the rule of law, he is plunging the nation down a path of no return?. If he is allowed to desecrate the sanctity of the law and get away with it, may God have mercy on us for all restrains will have been broken. It seems to me that to satisfy his ego, this man is willing to sacrifice the nation. Can the experts on Constitutional law do something about this?. Can his spiritual advisor bring this man to his senses?. Can the Public Service do something?. The Governor General is the Supreme Commander of the Security Forces, Can he not order the Army and the Police to stand down? Someone needs to do something before all hell breaks loose for once the first rifle cracks, there will be no return. Dean Fidel Oliver Barrow de Castro? I think so! Same thing going to happen for elections he will refuse to step down! this pm is just a plain nut plain and simple a bafoon that needs to be kicked out of the country like zelaya he doesnt even abide by the courts ruling no wonder there is no law and order in the country resign barrow the people of this nation is calling for your resignation please leave . Mr Barrow’s behavior is no different than the criminal elements.This man is a dictator and has no respect for the constitution.How can he go against a court order. Even Dean Barrow is above the law. what is next!!! what type of message is this sending!!! MAYBE IAM ALONE ON THIS, BUT DOESNT ANYONE, OTHER THAN MYSELF, BELIEVE THAT BARROW HAS ‘LOST IT’ AND IS LIVING IN HIS OWN REALITY. The criminals of Belize will say lets be resolute in causing havoc in this country, if our own prime minister doesnt abide by the law why should we? The government should fix this by obeying the high court of the country. Why take a personal fight with investors , it is doing more harm than good to Belize. Mr. Barrow if you love Belize concentrate in the development of the economy, reduce crime , bring more jobs, more investment. A bigger idiot than Barrow you will never find on this planet. His ego has no bounds and I hope that we get international intervention. The higher you climb, the harder you fall.Never thought he was suited for Pm and this nore than confirms it. He always thought he was above the law and now the idiot is proving exactly how he is! Belizeans please take heed! I didn’t know we have two circus in town. 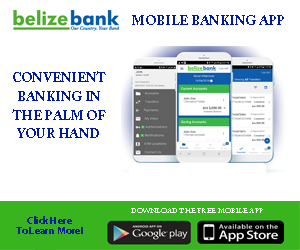 The path that Belize is being plunged is really a dangerous one; Belize is heavily being policed with checkpoints all over, wether they be Customs, Transport, BAHA,ADU and all other kinds of U and now they even have a Terminal Management Unit, rediculous?? How much is it costing the Taxpayers to pay for being POLICED??? and now this confrontation with the Aschroft group; why can’t the government respect the rule of law?? If they do not respect the law, how can it be expected that the people will respect it? ?eventually all hell shall break loose!! This is getting scary. Is this not the same way Fidel Castro and Hugo Chavez begin their dictatorial rule? By using an issue which may have some support by some people and where he knows the citizens of the country will only complain or discuss their disagreement behind close doors? So he knows Belizeans are complacent and will do nothing but complain amongst themselves whilst more and more he makes changes to keep control bit by bit and more and more. WE ARE NOT GOING THROUGH A GOOD PATH FOR DEMOCRACY! BEL done start they R@$$, i went to get a new connection a nd they said in TWOO WEEKS. imagine that!! you going to a store to buy, they take you money and tell you come back in two weeks for your product. BELIZE the next HAITI of the AMERCAS, PAPA DOC BARROW in charge!! I would suggest that the Government return the phone company to that guy and his friends now. Then I would suggest that Belizeans learn to live without making so much useless phone calls and texts. I think the last one is impossible but I would pray that people would get the sence and stop giving their hard earn money to these corporations. Learn some self control. But poor people always feel that they need to hitch on the lastest gadget and ‘promotion’ from these companies. Dumb as Barrow needs to be extradited since Belizeans cant seem to do nothing to him. what pisses me off is what he says “and with the fullest public suport” WTF I aint supporting your idiot ideas barrow and i know for sure majority of the public are upset because of the stupidness your doing so don’t bring that crap of the public supporting you because it’s incorrect and your using the public for alliance for what your doing when it’s contrary. Come on Barrow. Give the company to its rightful owners. And when you are it, give the Belizean people to their rightful owners too. You know who brought them here. Every time this jack… of a prime minister opens his mouth, $#!% flies and we have to duck. The $#!% should be from the other end of the jack…. somebody please stone this man barrow with you shoes. This PM uses the law when it is convenient to him. What an example he is sending out to our young people, break the law, and when the court sends your punishment, say to hell with them and do as you please! I never thought I would be so ashamed of my PM. leave btl alone mein…you (Dean Barrow) caused the ruption. you didnt nationalize a private company in an adequate process/manner. take the lick now Mr. Prime Minister. however, this is important because it will cost us Belizeans millions of dollars to take back a company that represents a want; not a need!!!!! this dude never nationalized telemedia based on the interest of the belizean people. he took over; not nationalized BTL. in fact, he took over BTL to suit himself, family, and friends!!!!! slap in the face to all business people, all professionals, all workers.. FINNEGAN di run di country like wah taak show. his people that have benefitted from free NHI for 10 years, free housing, poverty southside alleviation. these gimme thankyu lazy @$$ people will determine the way forward for the country, what happen to us in the north that cut cane for thirthy years, we want the country to move forward . Respect the Court the highest authority in the land. we will be banned from the international community like how Honduras was banned a few years ago.. 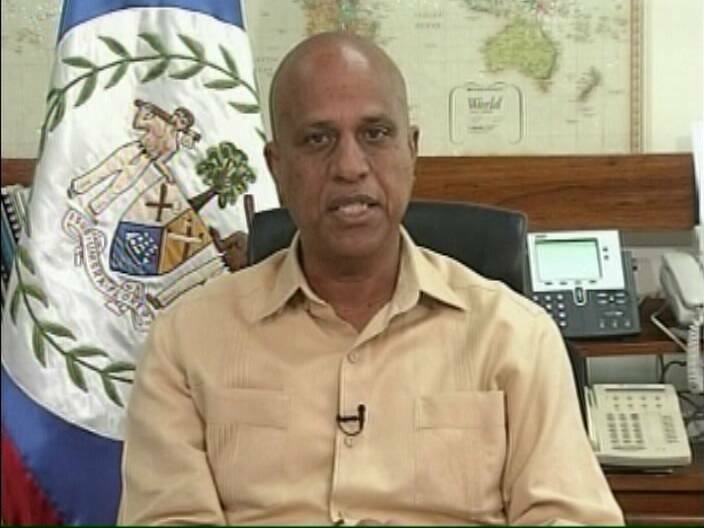 In spite of all that have been said about the wrong that this stupid bully has done, here is what is missing in all the comments: THIS MAN, DEAN BORROW, PRIMINISTER OF THE SOVEREIGN COUNTRY OF BELIZE, SWORE TO PROTECT AND DEFEND THE LAW OF THE LAND; SO ARE THE POLICE FORCE. THE COURTS HAS THE FINAL SAY IF A LAW HAS BEEN BROKEN. NOW COME MR. PRIMINISTER AND TELL THE COURT THAT HE WILL NOT OBEY THE DECISION OF THE COURT. IS THIS TREASON? AND IF IT IS TREASON, THEN MR BORROW AND HIS POLICE FORCE SHOULD BE TAKEN INTO CUSTODY BY THE HEAD OF THE (BDF). You folks can sit there with your finger up your——-and let these bunch of gang get away with this blatant disregards for law and think it’s funny, but it will come back to bight you all in the rear end down the road. The oposition should have people on the streets protesting from boarder to boarder. This is not about PUP or UDP, its about protecting the only control between the weak and the strong, which is the rule of law, this is how a civilize society functions. There are times that a decision of the court is not transparant, but its accepted for the benefit of the wider population. Case in point: When there was a problem with George W, Bush”s first election, it had to be decided by the court. For the peace and tranquility of the nation Al Gore accepted the decision of the court. Folks don’t let Dean Olivar Borrow get away with this. If you think you have problems now, wait and see what the future will be because of this ludicrous act by the UDP’s. If you fellow Belizeans don’t do more that just grumble under your breath, the wider world will treat this as condoning what these clowns have done, and no matter which Party is leading the country there will be the lingering suspecion of mist trust. I can only say that it is bad precedence that is being set. Mr. Barrow should accept the lost and take it to a higher court if he is unhappy with the decision. In this month of June alone, we’ve had two senior citizens and three teenagers being shot to death, and all our energies are focussed on BEL/BTL takeover. Give Barrow and few more hours and common sense will prevail. He knows that he needs to move his @$$ out of BTL and take the traitor Bevans, Lois n Anwar with him, but his pride won’t let him move in a hurry. Everything that has been posted by everyone up here is100% truth and now actions need to be taken people! ….and what does the BAR ASSOCIATION have to say about this??? Or simply because they are heavily inflitrated by UDPs, that they will shut up and fold their arms in fear of Dean Hitler Barrow. It is against all principles of democracy for a government to forcibly remove legitimate corporations from their assets for its own poppet show. a government running what should be private organizations are above all chaotic. i my personal experience in the Caribbean, countries like the Bahamas and Guyana they have the most inefficient telephone and electrical service i have witness and the have both more money and people than our little Belize. I strongly recommend to our prime minister to go and do his home work before taking over the utility companies of Belize, he should return them to their rightful custodians. Sounds like a dictatorship to me….sad situation!!! Remember when he won? All u idiots were so happy. Country was in celebration…. first black prime minister. Now u r all hating and wanting him out. You are all as stupid and with no vision as he is. ENJOY !!!! Indeed, Barrow needs to be kicked out of the country like Zelaya! Anyone who vote for someone just because that person is black is stupid.My favorite color is green,and I do not care who put it in my pocket. This would be a good time for the people of Belize to take to the street and demand the changes they find necessary since Mr. Barrow will not be able to call upon the legal system for which he does not believe in and any actions by the police department against the people would not be justifiable, Mr. Barrow has declared war by default. This is the start of the Belize civil war. Remember My Legacy B4 My People. It is sad that the Prime Minister, a person who is supposed to be level headed and fair, will result to this. The way he handled the situation was wrong because this will only further instill in the minds of Belizeans that once in power the people who put you there dont matter. All belizeans living abroad should go home for awhile and mingle …. You will be amazed at the difference in mentality. The way they act, talk, think and live day to day. our people back home need serious help.Not hand me downs….. Help to help themselves.. They have no exposure…..It is alarming……..
Belizeans fulla $#!%. We sit back and talk…talk…talk and don’t do nothing about it. This is the same idiot that use to talk about Said Musa is a communist and will end up like Fidel Castro.Yeah,haven’t seen that yet.This dude is a bully and people needs to do something about him.I’m usually a very good judge of character and I told everybody that this guys was no good for Belize. So said…so done!